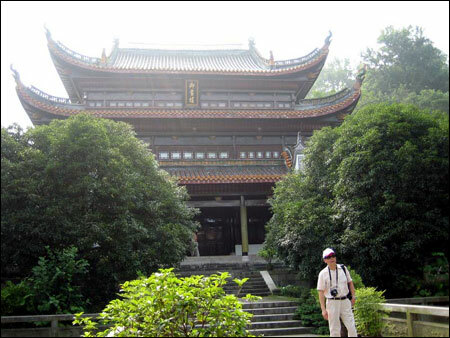 Yuelu Academy sits at the eastern foot of Yuelu Mountain in Changsha City, Hunan Province. Leaning on mountain and located near the waterside, the Yuelu Academy faces the Xiang River with its back to Yuelu Mountain. The academy is enveloped in stretches of trees that create a refined and quiet environment. 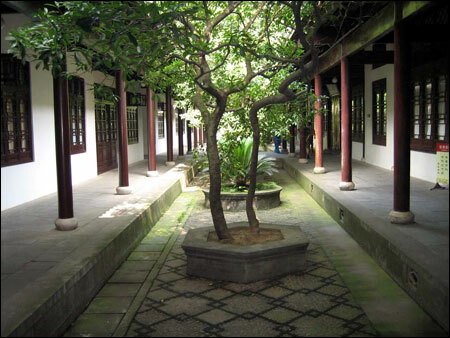 Built in 976 during the Song Dynasty (960-1279), the Yuelu Academy is now listed as a then-famous academy. It was honored with a tablet in 1018 with the imperial inscription: Yuelu Academy. Between 1165 and 1173 during the Southern Song Dynasty (1127-1279), renowned scholars Zhang Shi and Zhu Xi gave lectures at the academy. Engraved on both sides of the lecture hall walls four, huge characters that read: faithful, dutiful, honest and integrity. 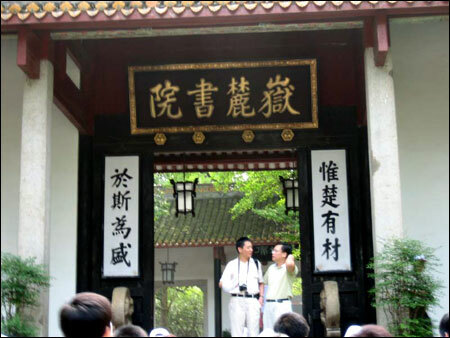 The academy was converted into an advanced school in 1903 and was renamed Hunan University in 1925. Enduring nearly 1,000 years of winds and rain, the academy was frequently renovated. Most of its present constructions were built during the Qing Dynasty (1644-1911). The central lecture hall, known as hall of faithful, dutiful, honest and integrity, is the core construction at the academy. A horizontal tablet with imperial inscriptions of Emperor Qianlong hangs in the front of the hall. Other constructions include the Wenchang Pavilion, the Six Gentlemen Pavilion, the Banxue Building and the Hexi Platform. A Lushan Temple Tablet is stored in the stele pavilion to the left of the Yuelu Academy. Carved by Huan Xianhe in 730 during the Tang Dynasty (618-907), the tablet's inscriptions were composed and etched by the famous calligrapher Li Yong. The relic is revered for its three uniques, namely the article, handwriting and carving. The tablet is four meters high and 1.35 meters wide with over 1,400 inscribed characters. It holds an important position in Chinese calligraphic history.